Working memory is a temporary storage area in the brain which manipulates information. Working memory, unlike long-term memory which we seem to have an endless supply of, is a finite resource. Working memory is different to short term memory. Our friends of over at Wikipedia describe short term memory as ” the capacity for holding, but not manipulating, a small amount of information in mind in an active, readily available state for a short period of time.” What makes orking memory different is that it involves the manipulation of information. You can imagine it being the size of a dinner plate. When your child is doing a maths calculation, the relevant information is held and manipulated in a space the size of a dinner plate. Anything that takes up space on the dinner plate will result in less working memory being available for manipulating the numbers and performing the calculation. The same will happen when writing a story – if the working memory is compromised, there is less space for thinking about what to write. And this leads us to understanding the importance of letter formation. Picture this scenario. This child lacks well-established motor engrams, or “motor maps”, for number formation. Some numbers are backwards, some the right way, and some are upside-down. When she tackles a maths problem, not only does she have to work out the correct answer, she must also decide how to write the number. Her dinner plate has a large portion asking: “which way does a 4 go?” It is also possibly trying to retrieve a visual picture of a 3. If you can close your eyes and imagine what a 3 looks like, you have a visual memory of that number. But if the visual picture is not established, that is going to have to land on the dinner plate. And so, a large portion of the plate is busy with letter and number formations. And now we begin to see the the importance of letter formation. if it isn’t established on an automatic level, our working memory is going to have to attend to it. It is not clear exactly when automaticity in handwriting and number formation is fully established, but it does seem that this is a maturing skill. Some literature indicates it may even only be fully established by adolescence. 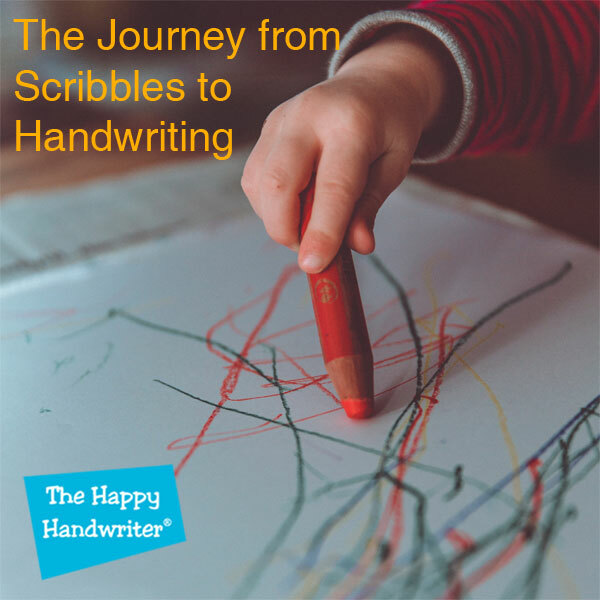 However, it certainly has its early foundations established through the Grade 1 year as our children learn handwriting. Aspects of letter and number formation, and writing of their name, can be established even earlier in the Grade R year. It is our hope that letter and number formations are well-established and on their way to being automatic. It follows that it is our expectation that the dinner plate is largely available for solving problems. However, some children are behind the curve in this and they have to use their conscious attention or working memory to remember how to form their letters. They must think about which way a “b” or “d” faces and can’t automatically retrieve the visual image of what a “k” looks like. This additional thought process requires additional effort. What comes naturally to their peers, is an additional task taking up space on their dinner plate. So, these children must work twice as hard as their peers to achieve the same end result. Their dinner plate, or working memory, is taken up with: “stick down, lift up, what’s next?, oh, slanty in-and- out.” Consciously having to think over this repetitive task is not only time consuming, it is frustrating. Written tasks become frustrating not because of the act of creating a story, but because the medium through which the story is expressed – namely handwriting – cannot be used effortlessly. It is easy to forget that if children can’t use the medium of expression effortlessly, maths and English performance will suffer – not because of a lack of aptitude or ability, but because they are not properly equipped to express themselves in a written form. As soon as letter and number formations are not automatic, the amount of working memory is compromised. We don’t want our children’s story-writing and maths to be compromised by poor letter and number formations. Using a multi-sensory handwriting approach certainly assists in establishing these formations. The Happy Handwriter’s unique method of teaching letter formation incorporates the building of letters, enhanced touch input from the Texture Overlay Board, and repetition through rainbow-letters-and-numbers® to assist in laying down the “motor maps” for letter and number formation. In addition, it uses songs and rhymes to teach letter formation. 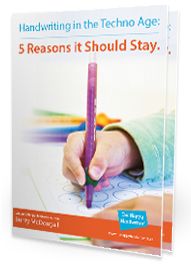 We must never underestimate how critical letter and number formation – the handwriting foundations are to story writing and maths. A research study, which focused exclusively on improving handwriting skills, revealed a statistically significant improvement in story writing and composition, compared to those who received no handwriting instruction. This shows us that if we improve the foundational building blocks, we will improve the skill – the working memory dinner plate will not be taken up with thinking about how to form a “b” or which way a 3 faces. This highlights the importance of letter formation. 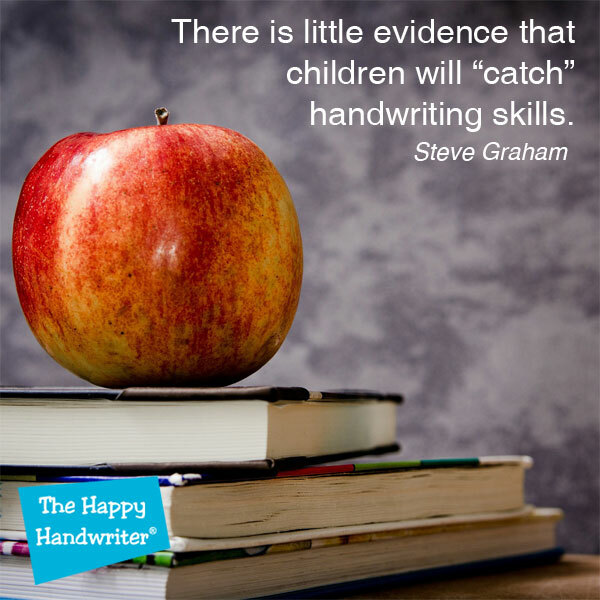 Over at LD online they also explore the importance of teaching handwriting. Our jam-packed curriculum is unforgiving when it comes to finding extra time for formalised handwriting instruction. However, we must focus on the foundational skills to give our children the best chance of applying their working memory to the higher level academic tasks.